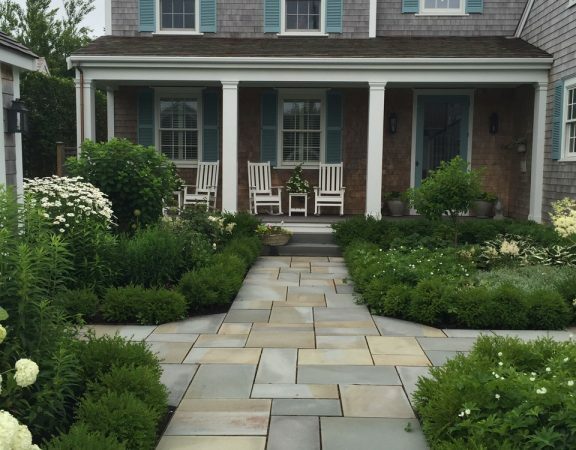 Our client purchased a classic 1930’s brick Georgian home in Brookline, Mass. 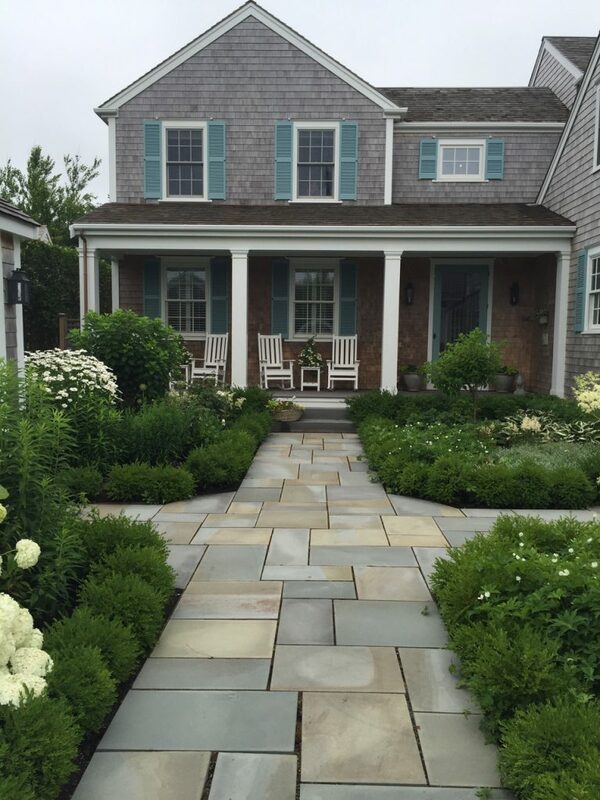 and undertook a full home renovation to add living space, repurpose rooms, and create an elegant Art Deco interior. 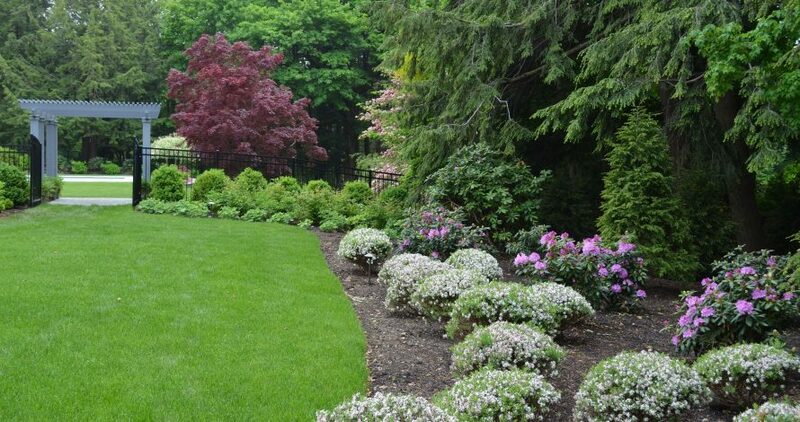 Our landscape design goal for this nearly 2-acre property was to impart the feeling of a mature, European-style formal garden. 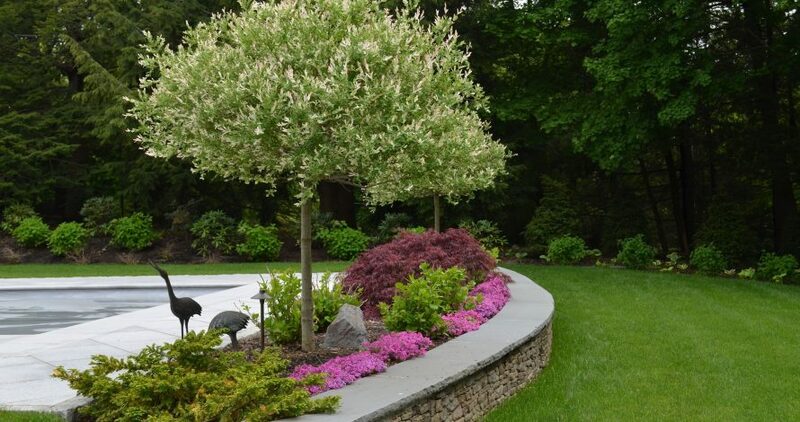 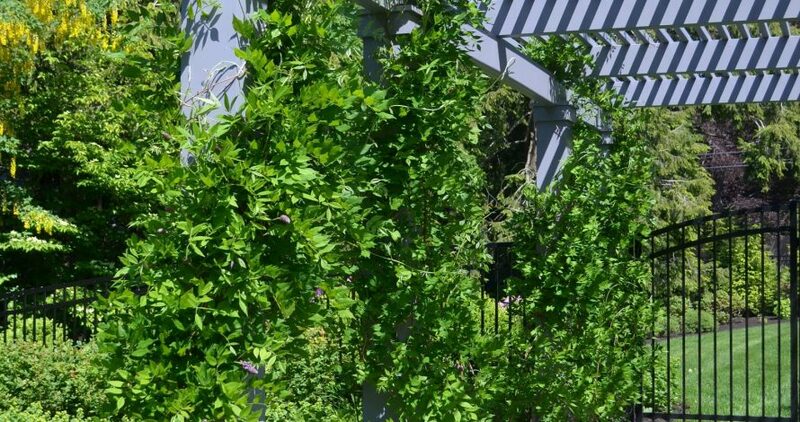 We worked closely with our client to achieve several imperatives including privacy, showcasing the architecture of the home, and integrating a garden design that would provide a continuous show of seasonally blooming shrubs and perennials. 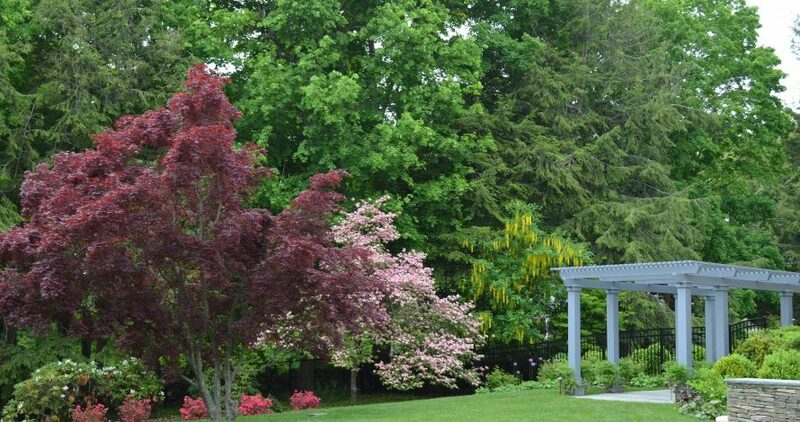 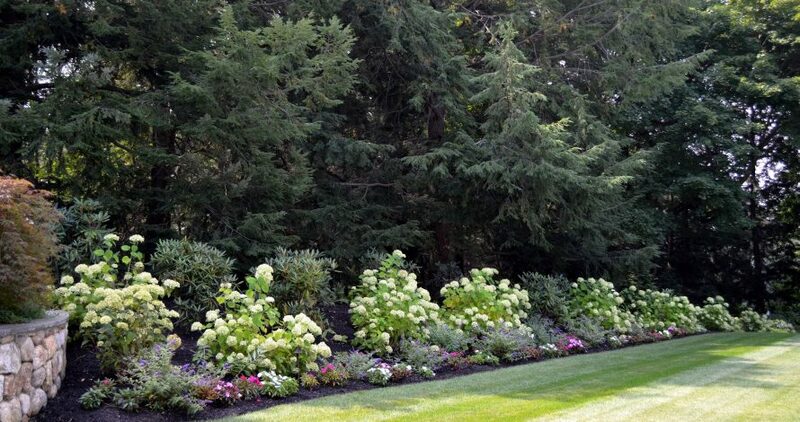 To achieve the client’s vision, we screened the property with large evergreen trees and shrubs such as Daphnes and many native shrub varieties including Inkberry bushes, Oakleaf Hydrangeas, and Catawba Rhododendrons. 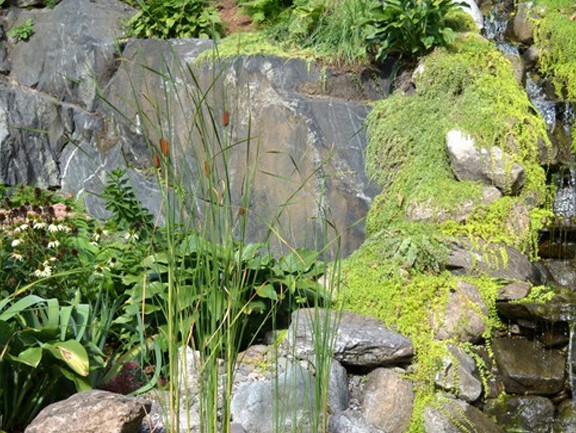 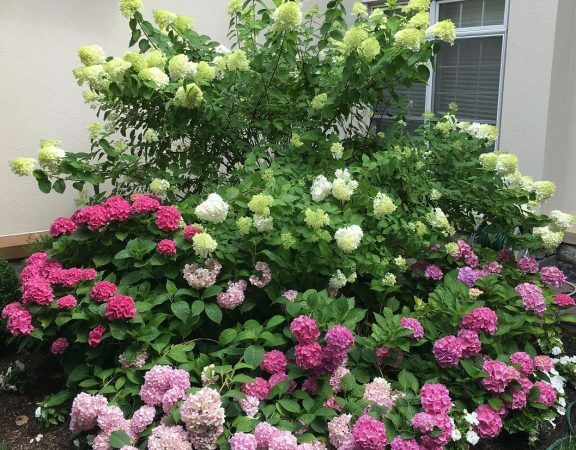 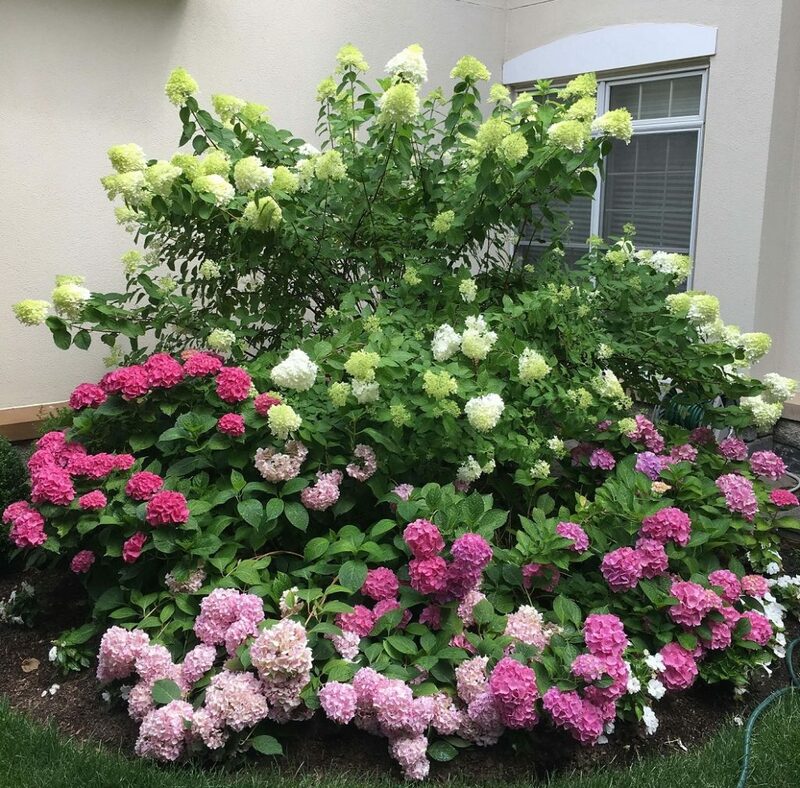 Our landscape design featured layered garden beds incorporating several sizes of boxwoods, hydrangeas with varied leaf forms and blooms, along with a continuous display of perennials that bloom in the spring, summer and fall for a three season show.